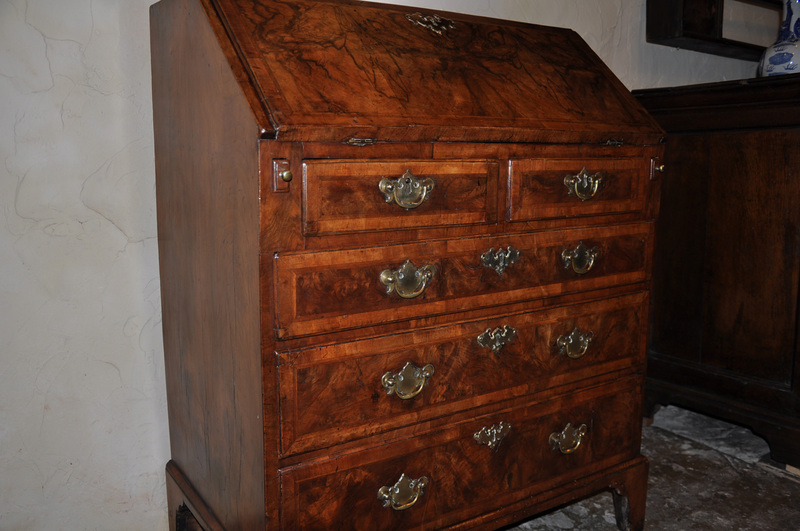 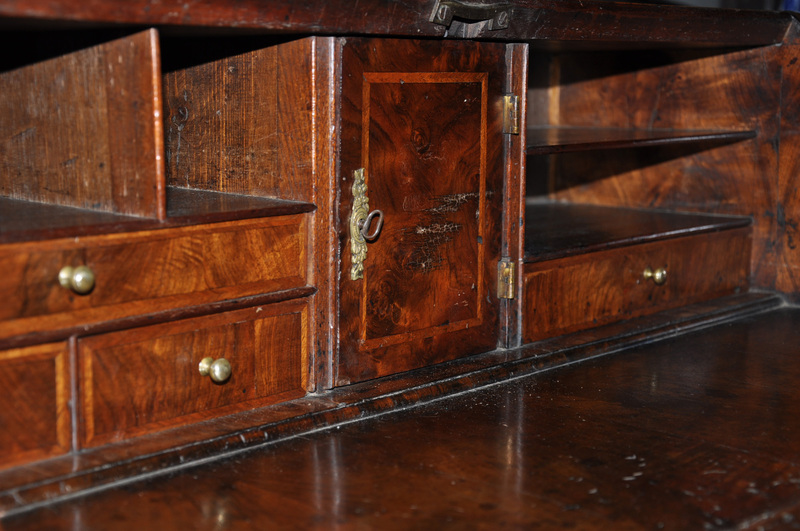 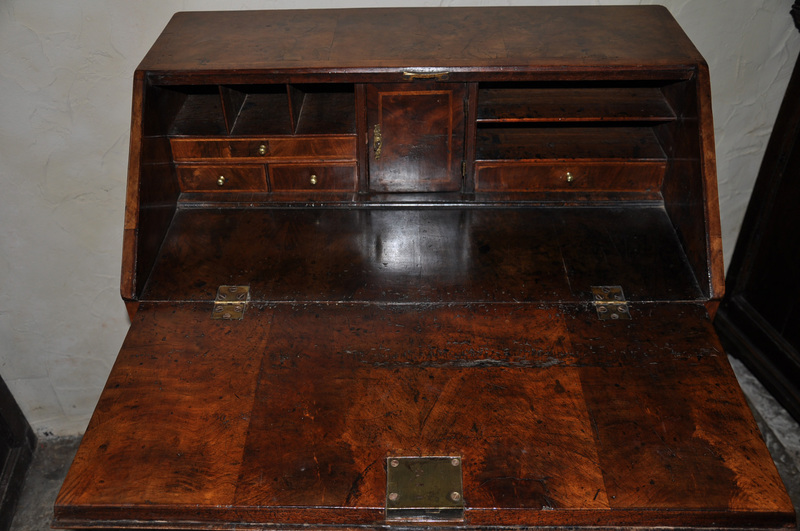 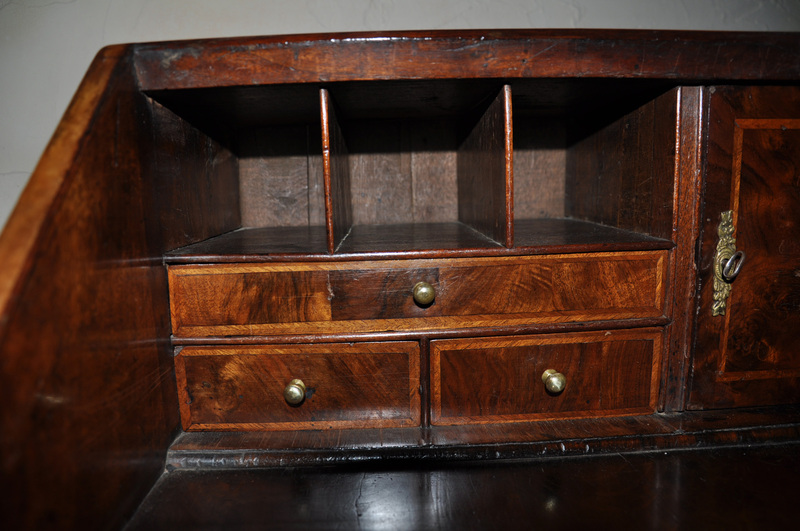 A Fine Early 18th Century Walnut Bureau of rich honey colour and pleasing small proportions. 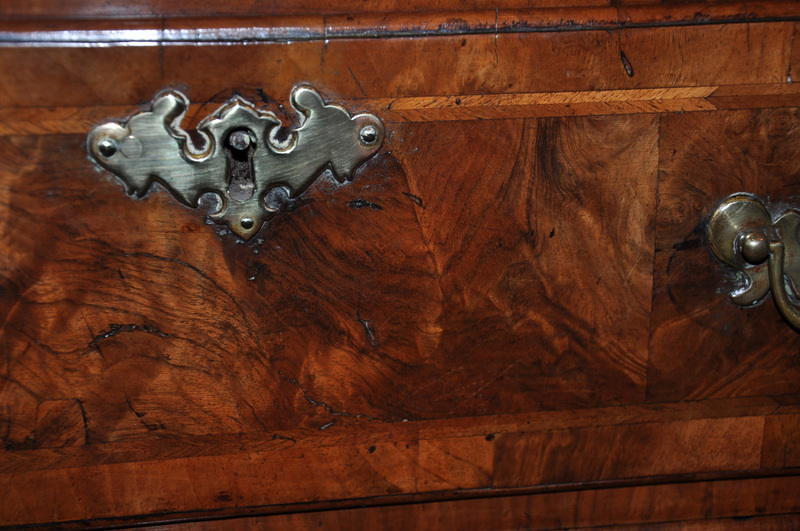 Retaining all its original matched highly figured walnut veneer with only minor patches. 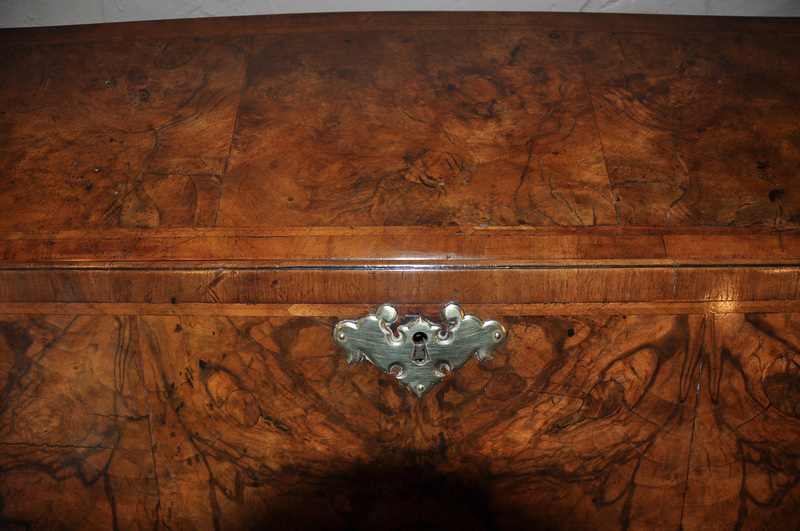 The feet are original. 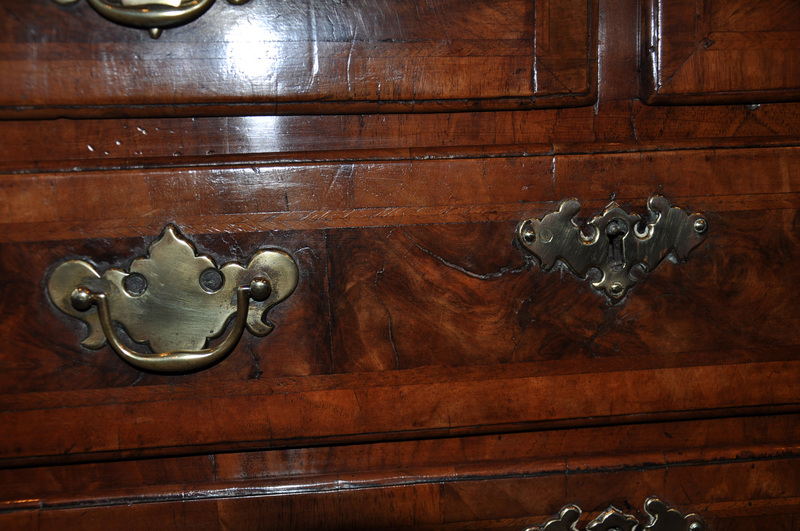 Handles replaced in keeping with the period. 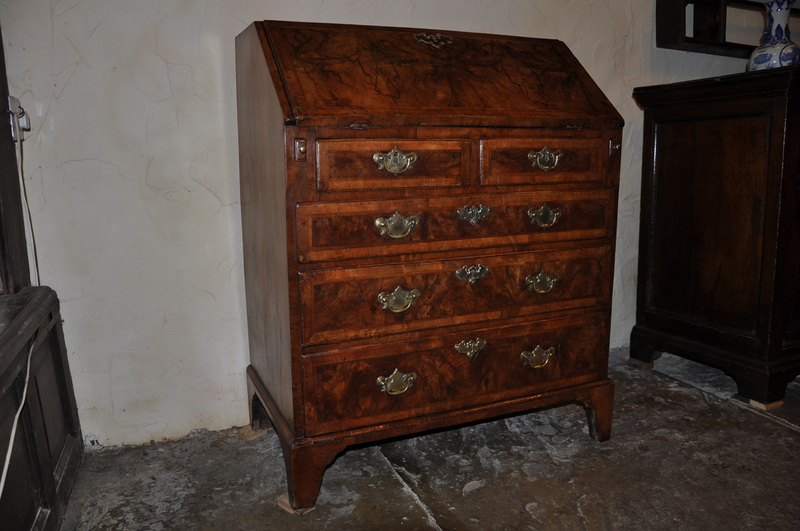 A superb example of English early Georgian figured walnut furniture.